College counselors agree that proper preparation is one of the most effective ways of increasing your chances of being accepted into an engineering school or technological university. Use this how-to guide’s recommended benchmarks to measure your progress throughout high school. 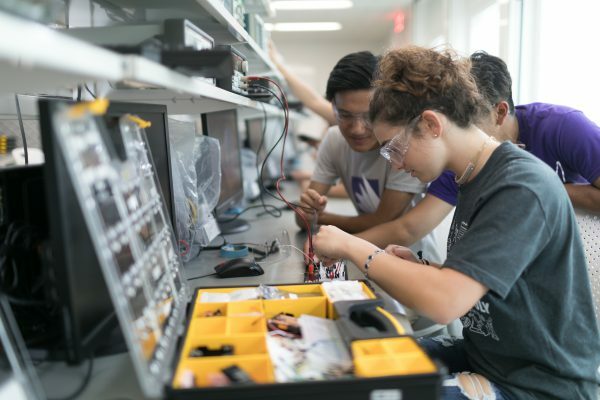 Getting an early start and maintaining steady progress improves your chances of getting into the school of your choice and successfully earning an engineering degree. Read as much as possible. The rest of high school, and college especially, will require coursework that covers in-depth engineering topics. Get a head start by reading books, trending topics, whitepapers and newsletters that cover the advancements in the industry. This will help you emerge as a thought leader and gain familiarity with the expected course load. You should have your Advanced Placement (AP) and higher-level math and science courses mapped out. It is advised to spread out these challenging courses instead of taking them all in your upperclassman years. Your guidance counselor should meet with you once or twice each semester to make sure you are on track to graduate. STEM Influencers — follow your favorite STEM leaders — like Elon Musk, Neil deGrasse Tyson and Michio Kaku — on social media to get unique insider perspectives and fresh industry insights. Class List —would AP Environmental Science look better on your resume than AP Chemistry? Learn which classes university admissions counselors want to see on your high school transcript. STEM Career Quiz — if you’re unsure how your interests will transfer to a college major or career, then this quiz is for you. Discover which STEM career aligns with your talents and passions. High School Timeline — it’s never too early to meet with a guidance counselor or enroll in an AP class. Use this timeline to learn about the specific steps you need to take in high school to keep your college prep on track. You should attend a college fair because it is never too early to start thinking about engineering colleges and universities as well as the degree programs and concentrations that they offer. This will better prepare you for how to get into engineering school. Take the Preliminary SAT/National Merit Scholarship Qualifying Test (PSAT/NMSQT). This test will help gauge where your strengths and weaknesses lie in order to prepare for the SAT or ACT test. PSAT Practice Tests — conquer your exam anxiety and put your skills to the test with these mock PSAT exams. With these practice tests, you’ll learn what you need to study to ace the final exam. Science Summer Camps — heat up your summer vacation by enrolling in a science summer camp with project-rich, hands-on experience. Use this list to find a science summer camp near you. STEM Events Near You — attend local conferences, talks and lectures to create lasting connections and gain insight into the STEM world. Use this database to find upcoming events near you. Research engineering companies that are located near your home and that have partnerships with high schools. Your guidance counselor may know of companies that have previously allowed job shadowing or internships. This kind of experience is valuable and can provide insight into the field of engineering, including which program would be right for you. You should schedule when you are going to take the college entrance exams such as the ACT or SAT. Consider taking SAT subject tests such as Mathematics, Chemistry and Biology. These tests are supplemental but colleges do accept these scores and they could greatly improve your application. SAT Prep — acing the SAT is easier if you know the right strategies and tricks. Use these helpful videos and practice tests to knock your college entrance exams out of the park. STEMStudy App — don’t let deadlines get the best of you. Download the STEMStudy app to keep track of your application deadlines, exams and more. Internships — build a competitive resume with impressive industry experience. Use this list to find—and start planning for—your dream internship opportunity. Tour colleges and universities that you are interested in applying to. Speak with the admissions counselors, current engineering students and faculty. These individuals can provide the best insight on the education and school, as well as what you could do now in order to increase your chances of getting into engineering school. Continue any internships, volunteer work or employment you have. Employment with an engineering company is valuable, and colleges will consider these types of involvement when reviewing your application. Start gathering materials (resume, letters of recommendations and essays) in order to apply to the schools you have chosen. Keep a method of organization when applying to schools as the requirements for each may vary. Once you have applied, take note of the decision date. Research STEM scholarships for high school students that are available to help fund your future education. Net Price Calculator — so you’ve got the acceptance letter — now what? Use this handy calculator to map out the cost of your engineering school. STEM Challenges and Contests — challenge your mind, win prizes and earn extra money for school by competing in STEM contests. Check out this website to find STEM contests near you. STEM Scholarships — apply for scholarships to earn more money for your college education. Use this database to find a list of STEM scholarships that can cover your higher education costs. 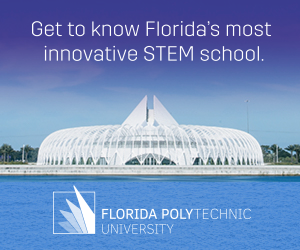 Students interested in getting into an engineering school can visit Florida Poly’s cheat sheet for more steps. This cheat sheet is a comprehensive high schooler’s guide to preparing for a top engineering school. For students who still want to know more, this article details the difference between a tech school and a technology university.